Thanks TSS. 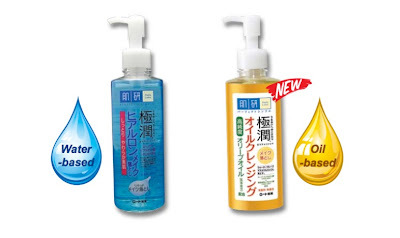 They introduced me to Hada Labo New Cleansing Oil. I saved up time trying to remove my makeup and hydrates while removing. First pump sufficient amout and massage to face in circular motion till makeup fully remove. Skin feel smoothier after removing and cleansing. It comes with two range. Water-based and Oil-basde. What i like about the Oil-based was that it remove my waterproof makeup effectively and no harsh rubbing of my skin needed, especially my eyes area. Hydrating Cleansing Oil is priced at $20.90 and will be available exclusively at Watsons onwide from 1 November 2011 onwards.